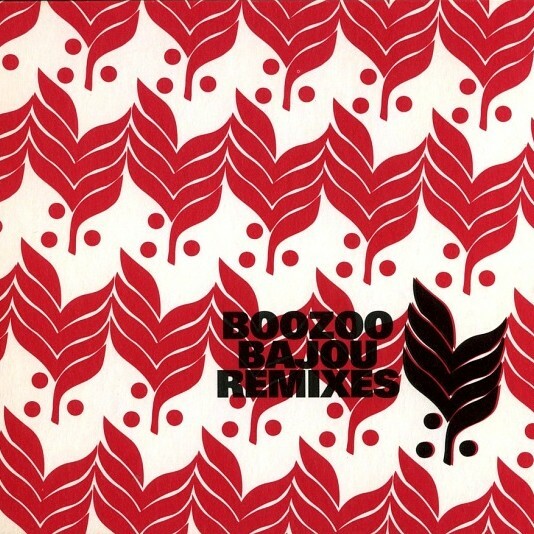 Summer 2001: On the Nuremberg based downbeat/lounge/nu jazz Label Stereo Deluxe the group BOOZOO BAJOU released their 10 track debut album SATTA. Since 1997 the duo Peter Heider and Florian Seyberth aka BOOZOO BAJOU caught the eye of DJ’s and other hipsters through the release of three twelve inch records [ Night Over Manaus, Under My Sensi, and Divers ] which brought a whole lot of club-play and smaller notification all over the world. Two years later SATTA has sold more than 65.000 times all over the world excluding bootlegs which surfaced in such strange places as Thailand. The album has turned into a classic and is described as a milestone for the downbeat scene. Those 10 tracks from SATTA can now be found on more than 120 CD compilations worldwide and the music was used on half a dozen top class tv adverts. The following remix-album includes unreleased mixes.